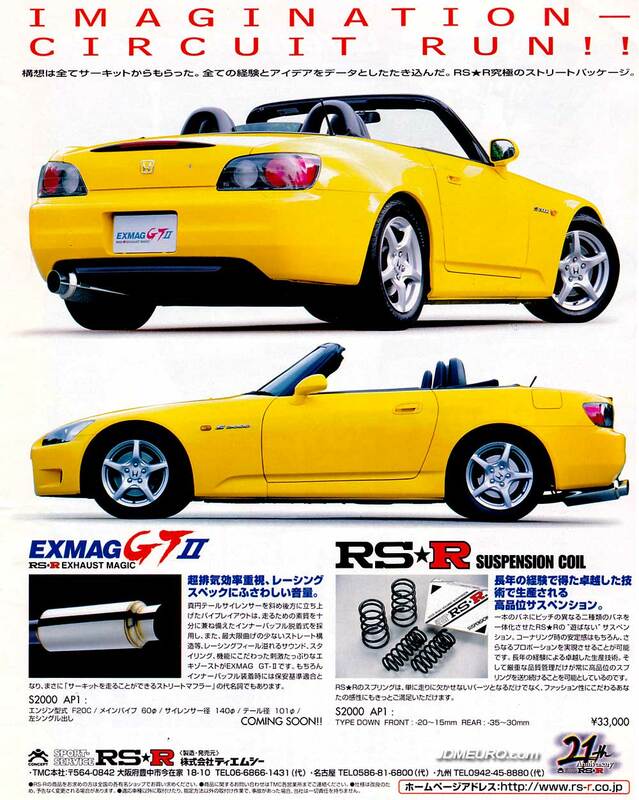 The RS-R Exmag GT II was a nice exhaust for the Honda S2000. It flowed better than stock, and only had one muffler which was lighter than stock and deleted the heavy and unncessary dual system. The RS-R Suspension Coil stiffened up the car with modest lowering. Pictured are the RS-R Honda S2000 Exmag GT II & Suspension Coil on the AP1 Honda S2000.